Like many businesses, EG&LRE started with the idea that there had to be a better way. Owner Yvette McCartney had worked in the real estate business for long enough to see what others were doing and decided to stand up and have a go herself.After eighteen years of being involved in the family contract plumbing business, raising two teenage boys, working for a large building surveyor company in Bairnsdale and over five successful years working full time in local real estate sales for a local franchise, Yvette decided it was time for a change. With extensive knowledge from owning and investing in property and assisting many clients to buy and sell properties, she chose to further her career and passion for real estate. After completing her full Real Estate Licence and establishing a home office for the web-based business, EG&LRE was founded. Yvette has a firm goal in mind: to give locals the best value real estate service in East Gippsland without the huge commissions. This reward-for-effort commission structure results in truly cost effective outcomes for buyers and sellers.East Gippslanders now have an alternative to paying hefty real estate commissions. EG&LRE offers the area’s first capped rate commission for homes and residential blocks of vacant land. Extensive experience with buyers has shown Yvette that they are no longer looking to buy from photos on window card displays in the main street. As with other categories, they are doing their research online before making a call. They’ve moved with the times and many in the real estate game have been left behind. Hello? Everyone shops and researches on the internet now. With low overheads and by embracing the power of the internet, we can contain costs and pass the savings on to you. That’s the power of technology. We make it work for you. 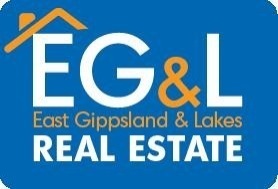 Whether you’re buying or selling, give EG&LRE a call and ask us about our capped commissions. Why pay more than you need when there’s a better alternative?